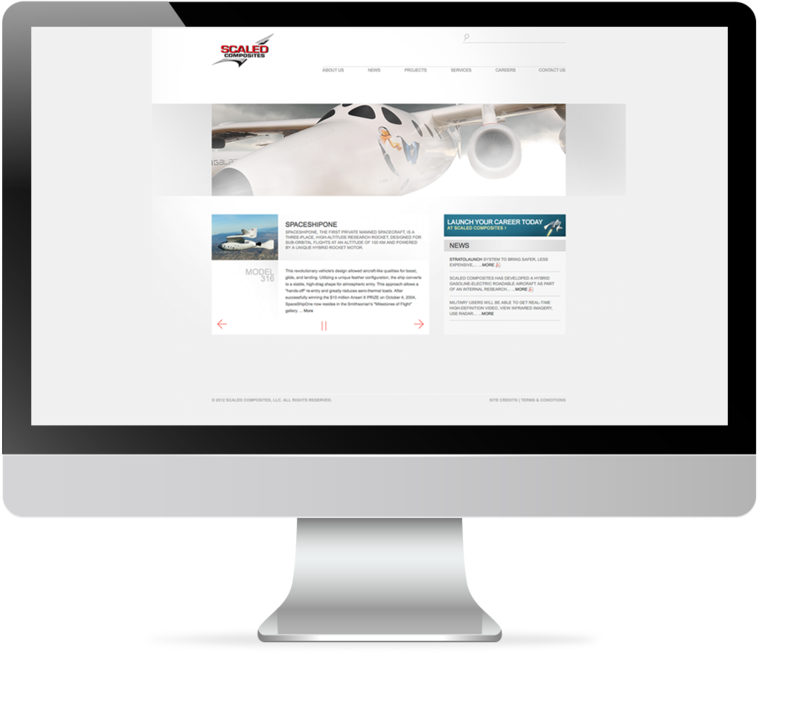 Although Scaled Composites was already eons ahead of the space industry by having co-created with Virgin Atlantic (among others) the SpaceShipOne and SpaceShipTwo, their website told a different story. 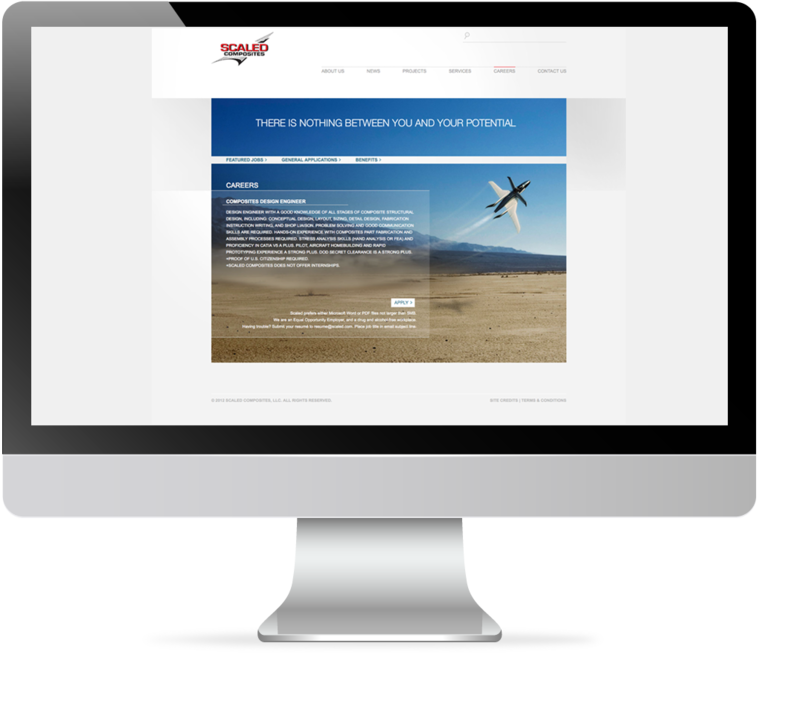 This is when Mineral got involved to conceptualize and elevate their brand to a level of innovation in the aerospace community for which Scaled Composites is known. Mineral did extensive research into Scaled's competitors and created a clean fresh look that brought them back into (and beyond) the times. 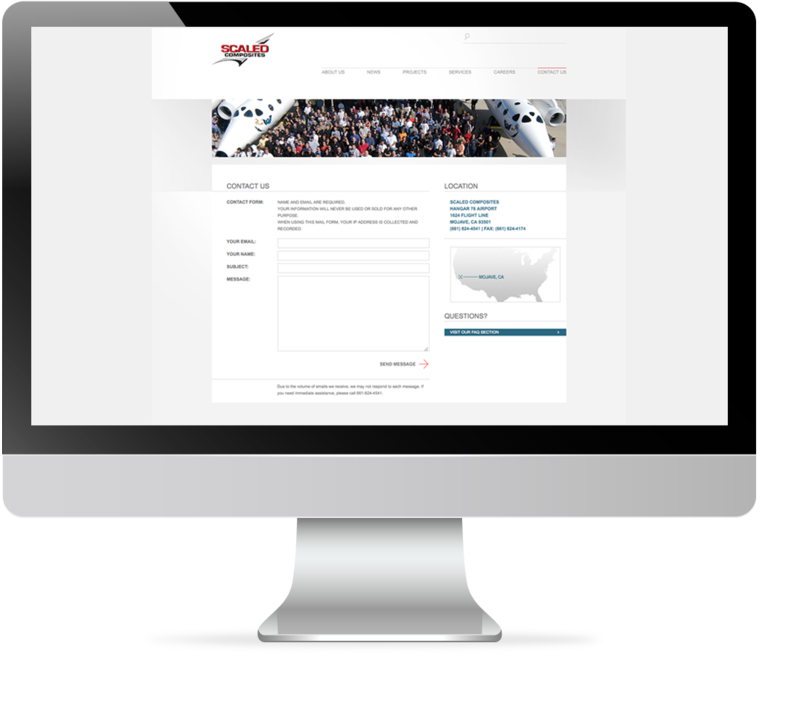 The home page also features a mini gallery of their latest/most innovative products, as well as a drop down menu with enhanced functionality to showcase all products. 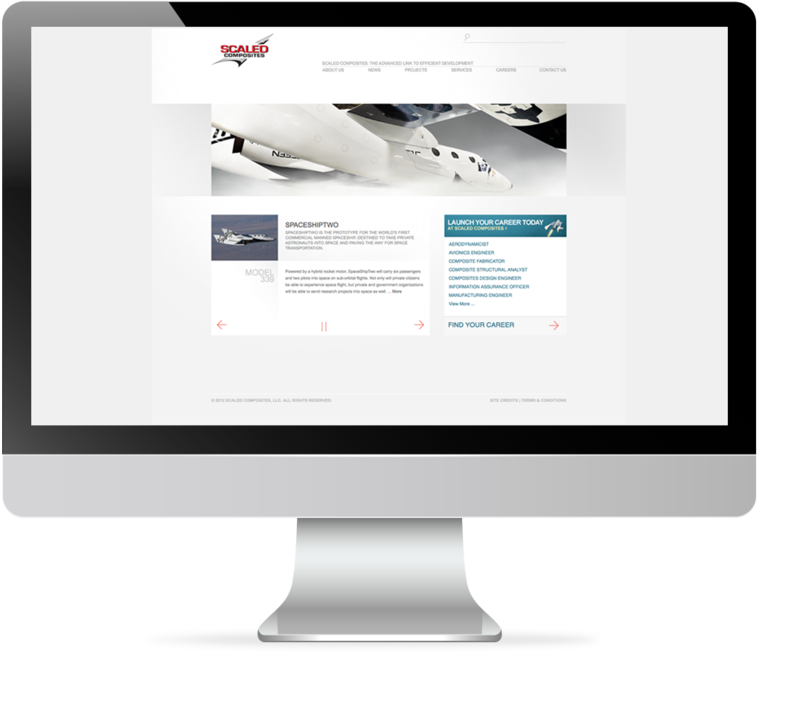 Scaled finally had a web presence that matched their integrity and position in the aerospace industry.